Cherry Jam - simple and delicious! 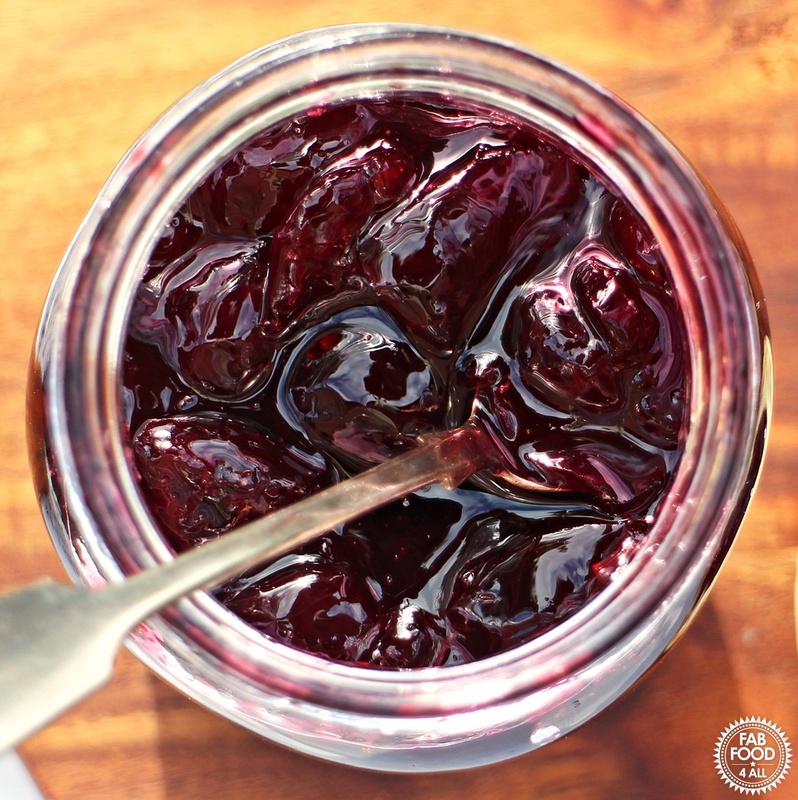 You are here: Home / Jam / Cherry Jam – simple and delicious! 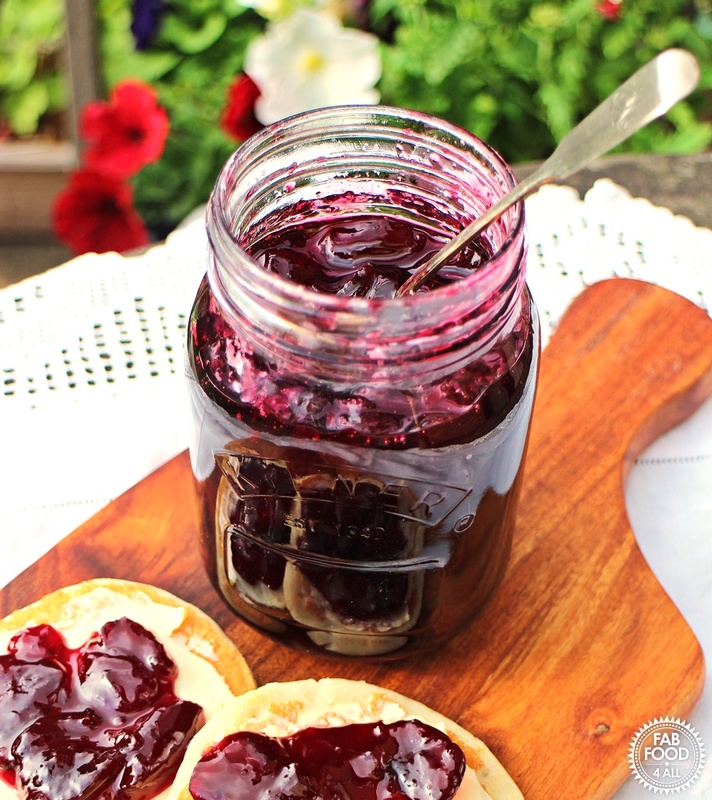 Cherry Jam – simple and delicious! Ever since I made my first jar of jam a few years ago I became hooked on jam making and have gone on to win a couple of 1st prizes at our local parish show. So every summer I look forward to gluts of fruit that seem to come my way. Sometimes it’s from family and other times it’s a bargain find in the supermarket! I’ve only ever had one attempt at cherry jam before which ended in disaster (my one and only) as I mixed it with apple and due to the high pectin level of the apple the jam was ready a lot sooner than I’d allowed for and I ended up with concrete jam. It was meant to be my entry into the Parish Show as I thought something a bit different would stand more of a chance of winning. 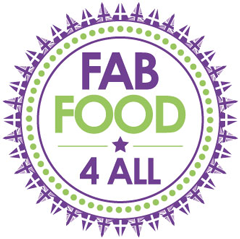 So I ended up entering a spare jar of my One Punnet Strawberry Jam which went on to win 1st prize so it all ended well! Well back to the Cherry Jam, I don’t believe in using jam sugar as I find it’s too easy to end up with a really stiff jam and I do like a soft set so I always use lemon juice (plus the rind sometimes) when extra pectin is needed. I’m pleased to say my Cherry Jam turned out perfectly, not too stiff and not too runny, just a really good soft set with lots of delicious chunks of cherry. My family all agreed and hubby was very pleased as Cherry Jam is his absolute favourite. I think I’ll have to see if there are any more trays of these cheap cherries as I can see this batch won’t last long! This recipe can easily be scaled up which is why I measured out the lemon juice. 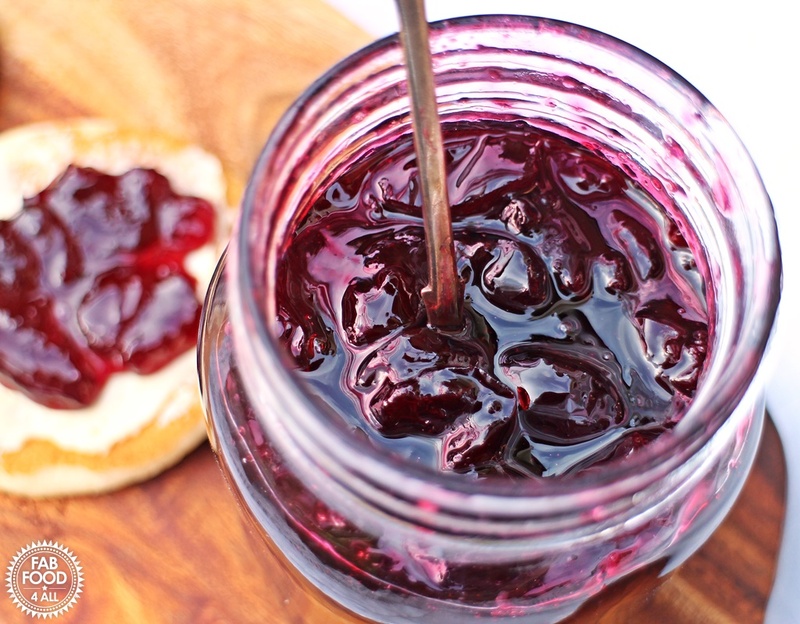 I do hope you give this quick and easy Cherry Jam a go if you come across a glut of cherries this summer! As my Cherry Jam was made with cheap cherries I am entering it into Credit Crunch Munch which I run with Fuss Free Flavours and currently hosted by Lovely Appetite. 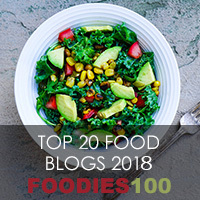 I’m also entering Simple and in Season over at Feeding Boys as cherries are very much in season right now! 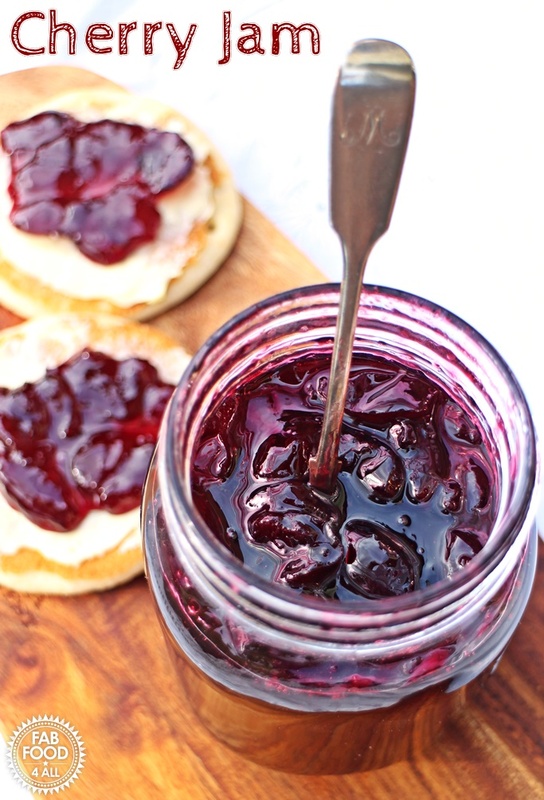 This simple Cherry Jam is made with just 3 ingredients, is soft set and tastes out of this world! Wash and pit all the cherries and cut three quarters of them in half, leaving the other quarter whole. Put in a preserving pan (or large deep pan) along with the lemon juice and set over a low heat. Use a potato masher to lightly crush the cherries and simmer gently until cooked (about 7 minutes). Add the sugar and heat through on very low until all the sugar has dissolved (running a wooden spoon around the pan will help you know as the sugar will scratch if still solid). Bring to a rolling boil and time for 10 minutes. Remove from the heat and drizzle a few drops of jam onto a chilled saucer. Place saucer into fridge for a minute and then run your finger through the jam, it's ready if it forms a crinkle and is tacky. If not quite ready boil for another couple of minutes at a time and re-test. Once ready ladle into hot jars and place lids on immediately. If using wax discs and cellophane, lay on the wax discs, wait until cool and then top with cellophane and rubber bands. Makes 1.5 standard jars (600 mls). Put 2 saucers in the freezer before you start. Sterilise 1 x 500 ml and 1 x 250 ml jars or 3 x 250 ml jar by washing in hot soapy water or take straight from dishwasher, filling with boiling water, emptying and then placing in oven for 20 minutes at 140°C then leave in oven until jam is ready. Washed lids should be sterilised with boiling water and then left to drain. And it was Perfect so so good! !